Documentation and SupportReleases Rutabaga Release Notes 2016-07-07Column Auto Mapping is no longer case sensitive. 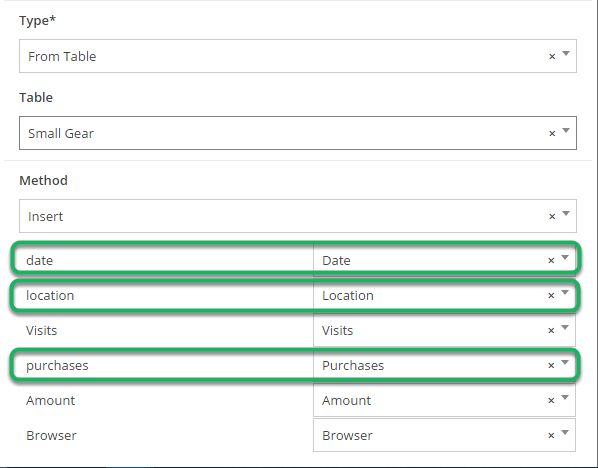 When creating a Business Process Task "From Table" the Auto Mapping feature will connect columns with the same name in each table, regardless of case. 1. Columns with matching names are now joined, regardless of case. Prev: Google Sheets Connector now available. Next: Add your email to a scheduled job with the click of a button.